"There used to be stories about the number of salmon. They used to talk about seeing the salmon, seeing the backs of salmon from bank to bank on some of these streams, almost like you could walk across them," said tribal member and environmental leader Elliott Moffett. "Opening access for salmon to get from the Pacific Ocean to central Idaho is the key issue because central Idaho has millions of acres of high elevation, pristine, cold water habitat. It will be the last best refuge for salmon in a climate change world," said Earth Justice Attorney Todd True. 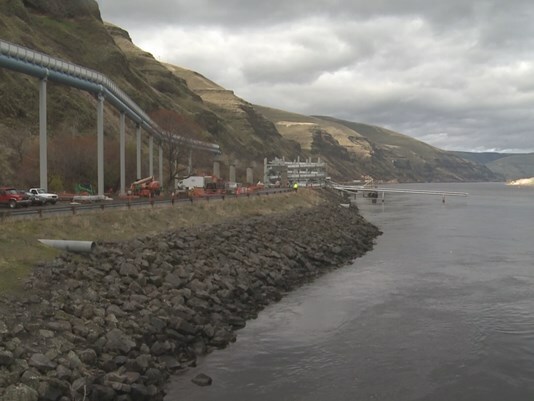 Future of Snake River Dams Under Microscope <-- Watch at original site.